Refining is the act of combining a base piece of armor or weapon with refining materials to create an enhanced item with stronger stats. An Envoy must learn refining recipes in order to create better equipment. Recipes are available for level 40 and higher characters. Basic weapon recipes can be bought from a Blacksmith. Armor and advanced recipes drop from harder dungeons and bosses. Once a recipe is learned it is shared with all characters on the account. To begin refining, speak to a Blacksmith and select the dialogue option “I want precise casting and forging.” Then click on “Learn Recipe”. To learn recipes found as drops, drag the recipe from your inventory to the Special Recipe slot in the Recipe List window and click on the Pay button. Recipes that have been learned will appear in the Refining window. Gemstones and ore for crafting can be mined by using a pickaxe on ore deposits found in various maps. The pickaxe can be bought from a grocer. Refining materials start dropping in level 30 dungeons or can be purchased from the Auction House. Green weapons and higher are used as base weapons to craft better weapons. 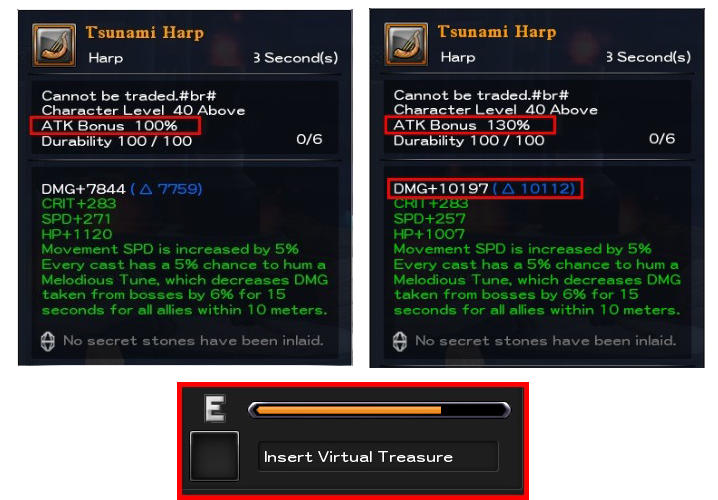 Refined items cannot be traded. 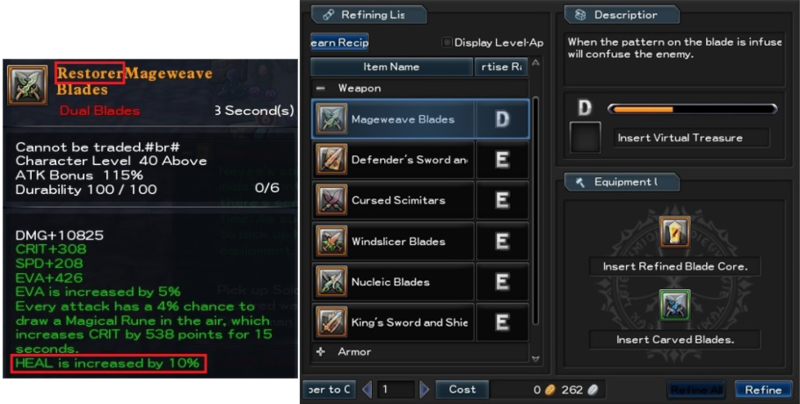 The resulting refined item will randomly receive a prefix that awards an additional bonus effect. Select the recipe of the desired item to refine in the Refining List window. Left clicking on a recipe will display required materials needed as well as a description of the item. Refining Cores are combined with a green quality or higher base item to refine the enhanced item. Semi-Produced Items are required to refine Weapon Refining Cores.